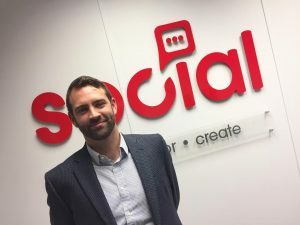 Manchester agency Social Communications has promoted Pete Wrathmell to board director following its recent expansion into London. Wrathmell, 35, joined the company in 2014 and his appointment comes after a spate of client wins including the National College for High Speed Rail, Manchester Enterprise Academy Central and Liberty Retirement Properties. The agency has also brought in eight new members of staff over the past six months. Managing director John Quinton-Barber said: “Pete's commitment, drive and hunger to help grow our young company into a business that can compete with more established agencies has been absolutely fundamental to our recent success. Social Communications works with clients including Lidl, Story Homes and Extra MSA Group.